Unleash Your Inner Vixen and Let's Get Naked! Do You Know Your Level of Self-Awareness? Is It Wrong to Only Have One Child? The gorgeous Nicole of Momtrends (my other Freelance Writing job) asked me to be apart of her last event by modeling Lands Ends' latest apparel. And of course, I was game! So last week, I rushed on over to the Lands End Show Room in Midtown Manhattan, got all dolled up courtesy of the incredibly talented Makeup Artist, Evy Drew (seriously, my makeup was flawless! 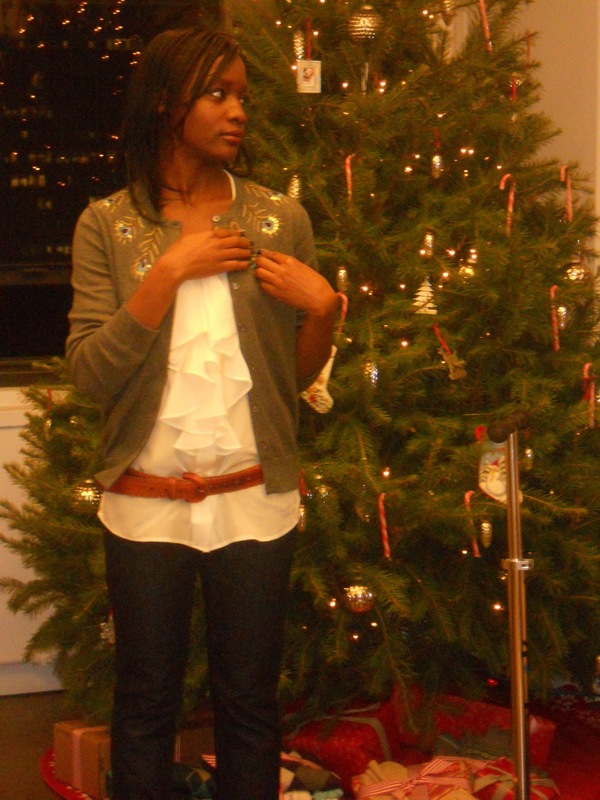 ), and then got styled in head to toe Lands End apparel. Yeah, I was living the life, if only for one night. If you're looking for fun and fashionable Holiday outfits (with longevity), be sure to visit the Lands End website. I mean, really? How 'bout this outfit? Okay, so the pictures are a bit blurry. (Damn you, Coolpix), but you get the gist of it, don't you? I anticipated that you'd be nodding "no," which is why I'm including pictures of the clothing off of the Lands End website. How 'bout this silk bow blouse in ivory? 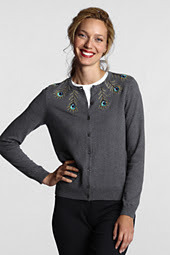 How 'bout this cotton cashmere embroidered cardigan? 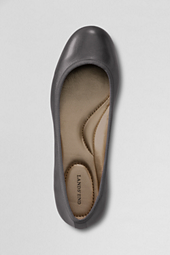 How 'bout the ballet flats in gun metal? Who knew Lands End was so fashionable?! I am thoroughly impressed! 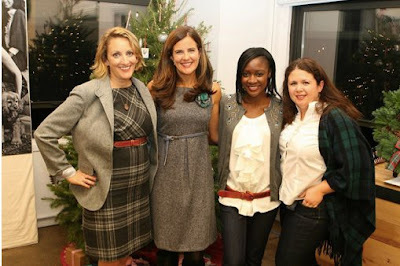 I'm loving Nancy's and Nicole's dress and Kerri's wrap -- all Lands End, baby! Oh very nice...I may need a holiday sweater like that one!! You are a natural on the runway. Thanks for being such a "model" model. Not an ounce of diva in you! You look so great in that outfit! I'm certain you WORKED IT! That blouse is a such a great piece and I love an embroidered cardi! Oooh, what a fun opportunity, and I LOVE this outfit on you!!! Girl, I know you worked it! I also saw you featured at Jennifer's "Mom Bloggers Club" Mag!!! Awesome!!! Isn't cool how simple pieces turn into such a fantastic outfit? I had no clue Lands End has such stylish pieces. You looked fabulous! Ah... thanks guys! I too, am in love with the blouse. @MamaOnetoThree: the ballet flats are pretty glorious!